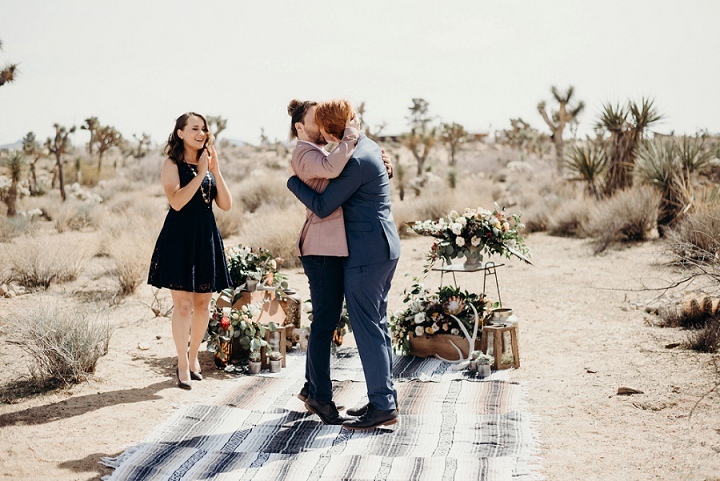 Joshua Tree is a famous place to get married because it’s an awesome boho desert location, which are extremely popular for weddings and elopements now. 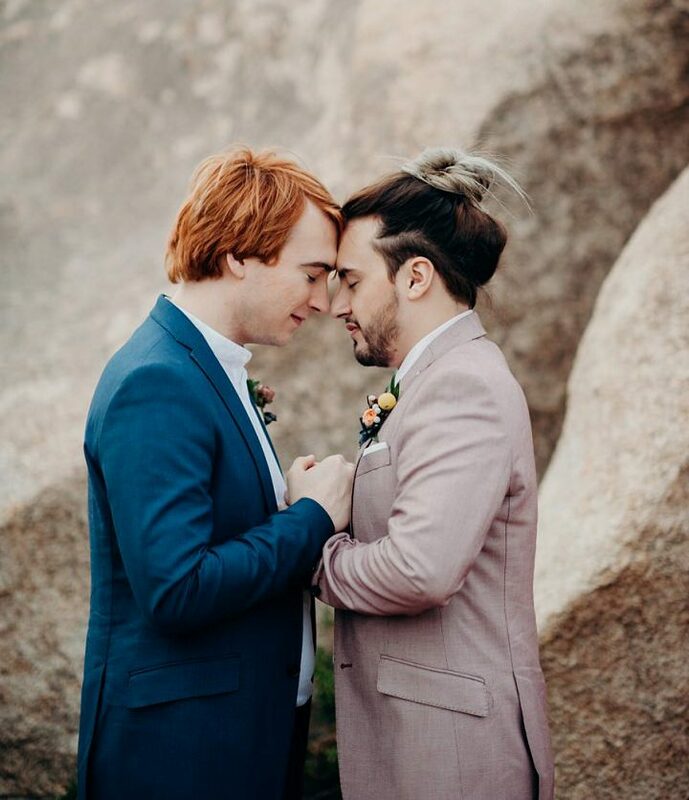 Julian and Brandon chose this location for its bohemain vibes and overall chilled out nature and the results are outstanding! Everything was prepared in 6 months and everything was from the drive, to seeing the home and venue for the first time, to finding the perfect place inside the park to shoot some pictures afterwards, everything was a big moment and a surprise. 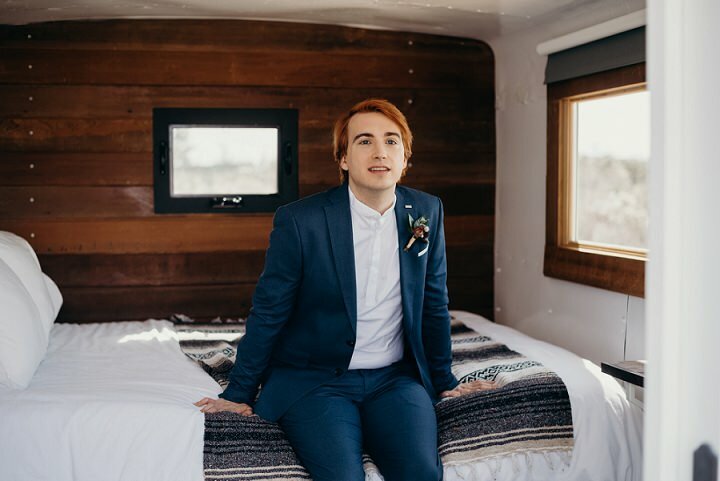 A whole team helped the couple to get ready for their big day. All the colors worked perfectly with the location: pinks, blues and greens. 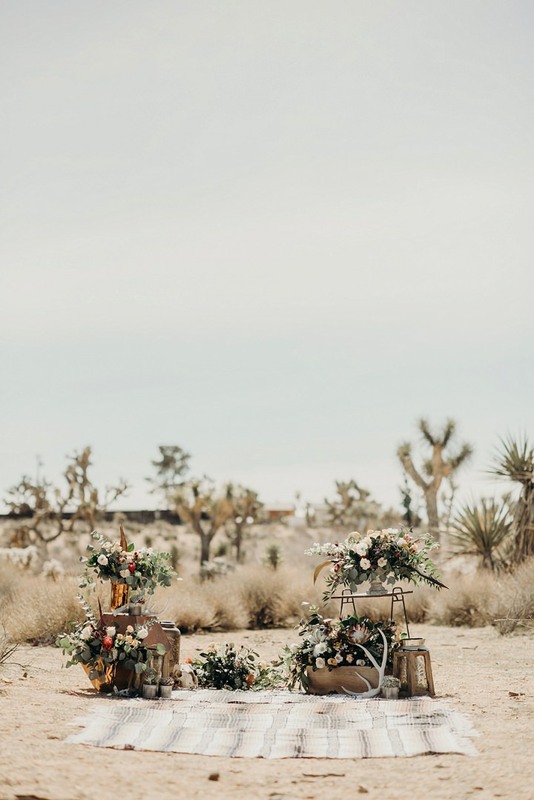 Desert flowers and bohemian vibes everywhere. 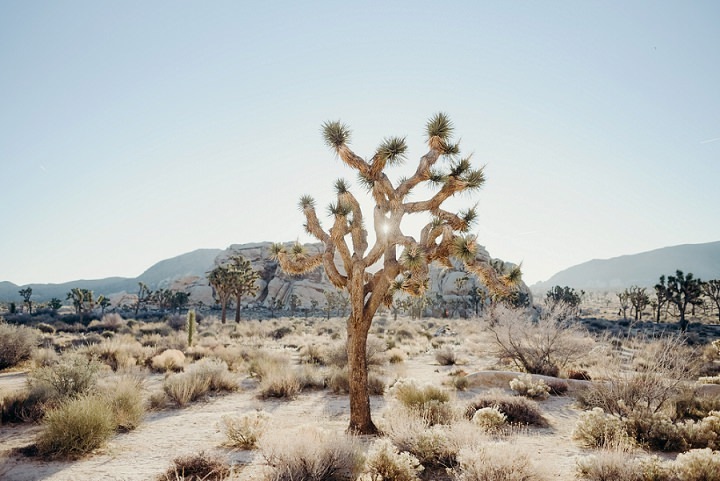 The landscape became part of the style and embrace it and enhance it. 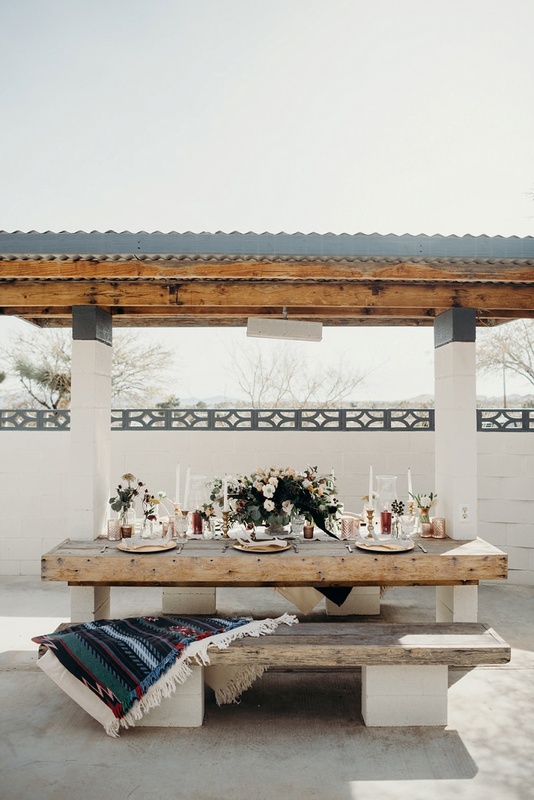 The ceremony space was done with boho rugs, antlers, greenery and blooms right in the desert. 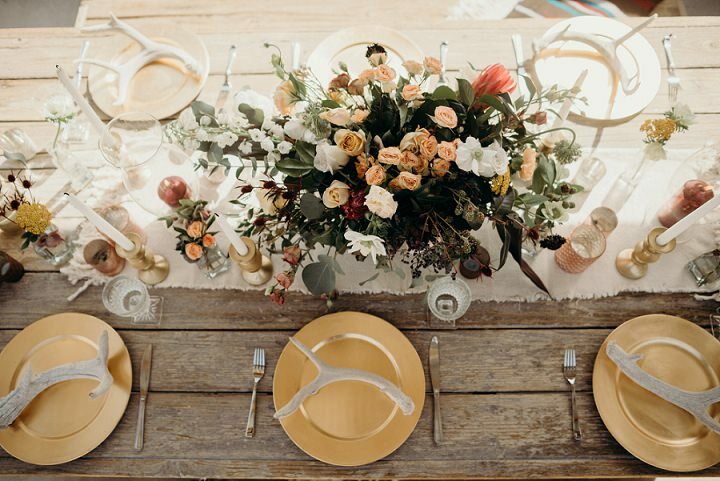 The wedding tablescape was done with a macramé table runner, copper and gilded touches, antlers and lush florals. 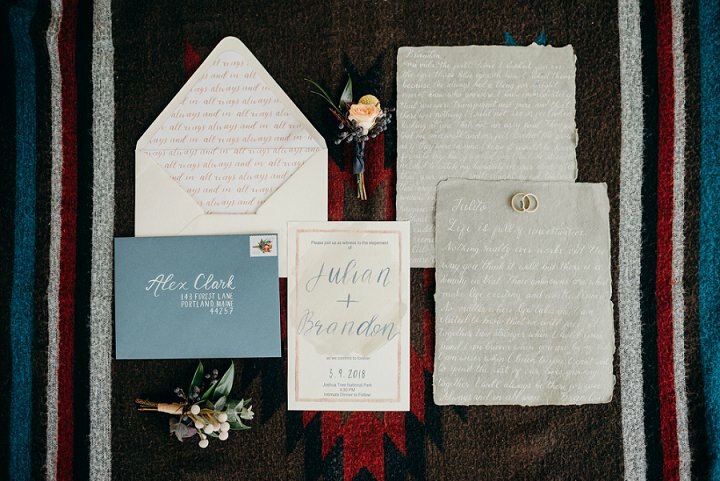 The stationery was neutral, with simple and neutral calligraphy and muted envelopes to fit the wedding color scheme. 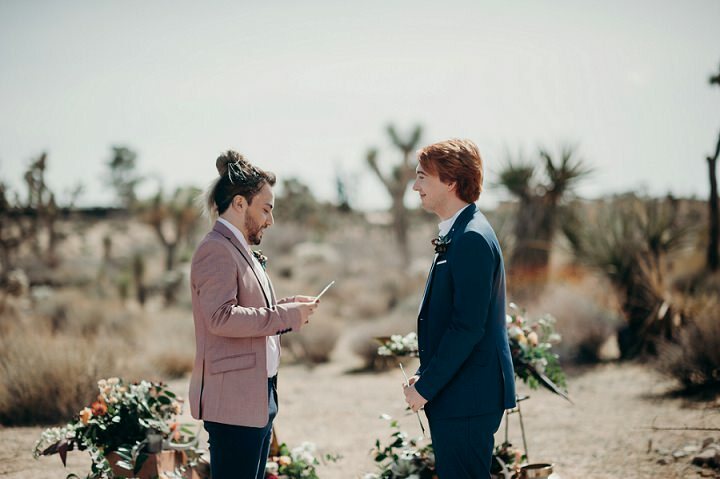 The grooms were wearing custom made suits: one of them chose a navy suit with a white shirt, the second preferred a dusty pink jacket and black pants, the guys were not wearing ties. 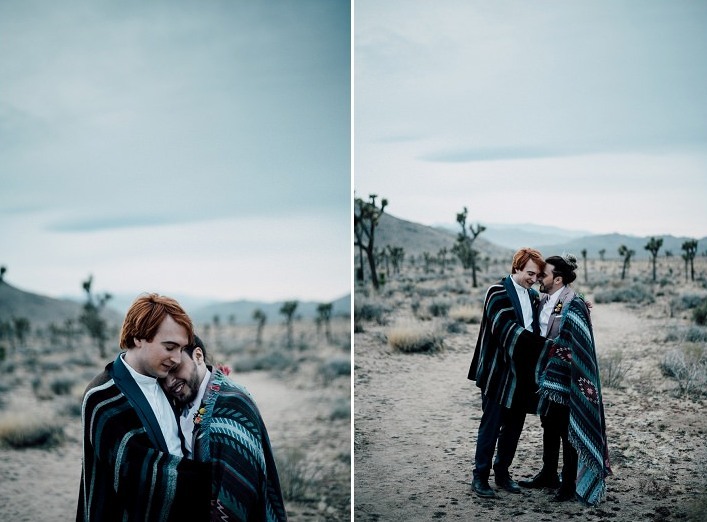 Get inspired and steal some ideas for your own boho elopement!